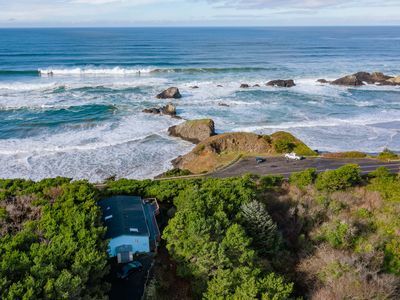 Located on beautiful South Beach, 2 miles south of Newport Oregon. 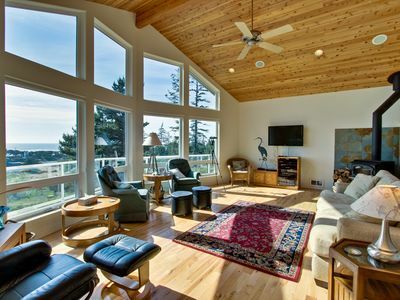 The setting is private with a panoramic breath-taking view of ocean, beach, surf and coastline. 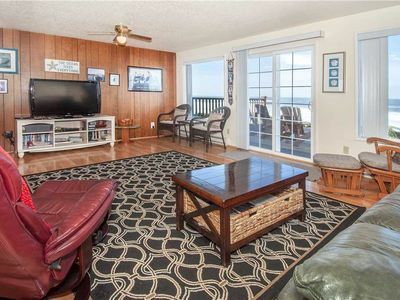 The wide open beach is ideal for long walks, wooded neighborhood. 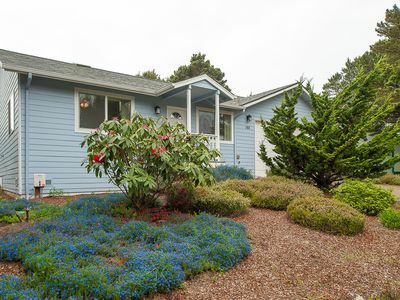 5 minute paved Easy quiet walk or drive to our local beach. 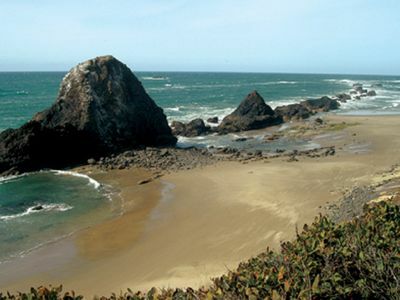 Miles of secluded beach in short walk from the house. Ideal for couples, families, small groups, business and bible study retreats. In addition to many positive online guest recommendations, we have received over 80 more very positive reviews from Guest Emails to us since 2009. You can read them and more pictures - Google "Muscato Beach House" . 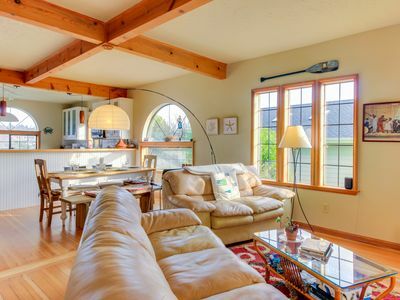 We have just 1 vacation rental and we want our guests to also have a fabulous time as we have. 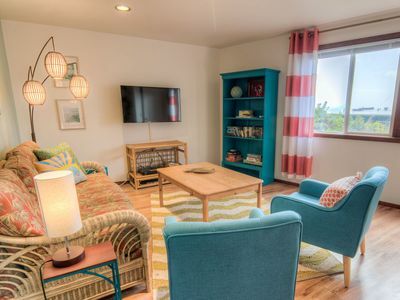 Nearby is the Oregon State Aquarium, Newport Bay Front and Marina, Art Galleries, Unique Shopping, Exquisite Restaurants, Recreation Center with Pool, and Health/Beauty Spa. Deep-sea fishing and crabbing expeditions. Gourmet Kitchen stainless appliances with granite bar and counter top: Range top, 2 sinks, 2 Refrigerators (drinking water filters), 2 Dishwashers, 2 Ovens, Microwave. Juicer. Waffle maker. 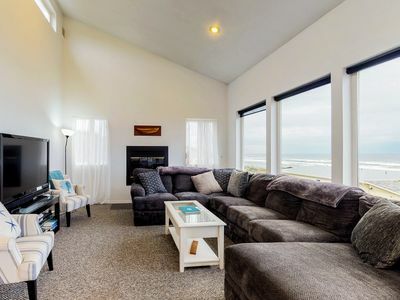 Wireless Internet, Digital Cable with digital music, Large living area and large deck overlooking the ocean, beach, surf and coastline. 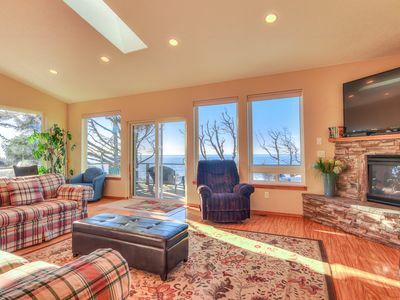 Large wood stove, firewood, Plasma TVs with DVD/Cable. 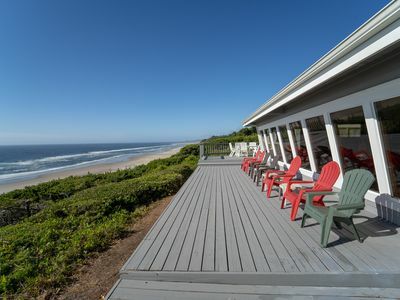 Large deck overlooking the ocean and beach. Outdoor grill, patio furniture. Separate Laundry Room, washer/dryer. 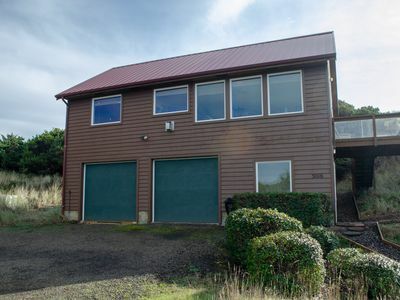 Garage and private driveway, ample parking. 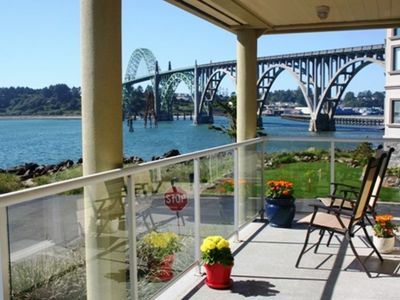 Short 5 minute drive and/or walk to the beach. Note: 10 Maximum at ALL times, including children. Parking space for 3 cars maximum. 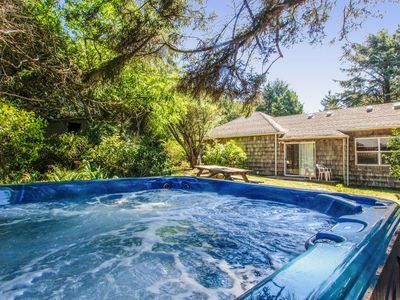 Spirit of the Sea ~Ocean Front, Hot Tub, Direct Beach Access! Romantic Privacy. Honeymooners Hideaway. Nature Lovers Retreat. Walk down to the surf! Museums, aquariums, boutiques and fresh seafood! 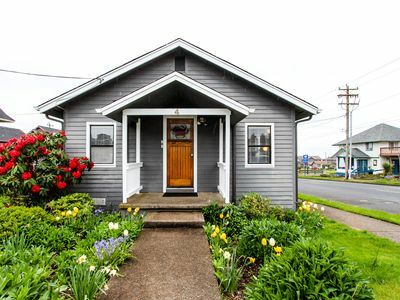 Explore Beverly Beach in this charming three bedroom moments from the beach! 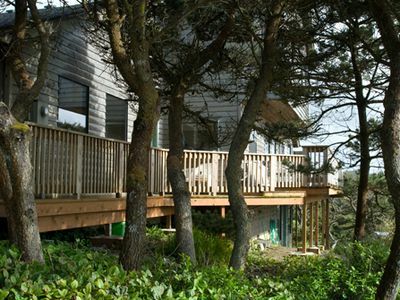 Nye Beach Townhome Green Door, Restaurants, Shopping & More! Free Night! 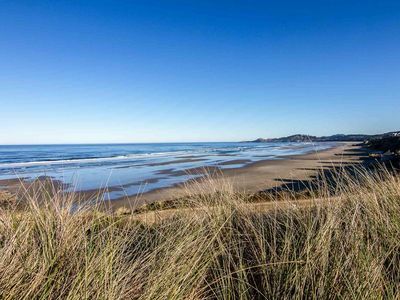 Nye Beach, Newport, Close to everything! FREE NIGHT! 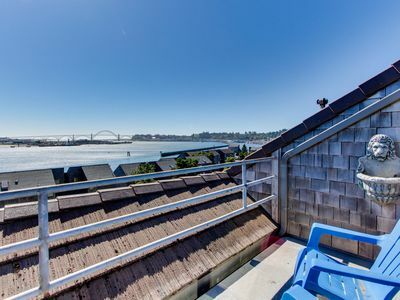 Popular Single-Level Newport Oceanfront w/ Panoramic Views, Deck & Fireplace!